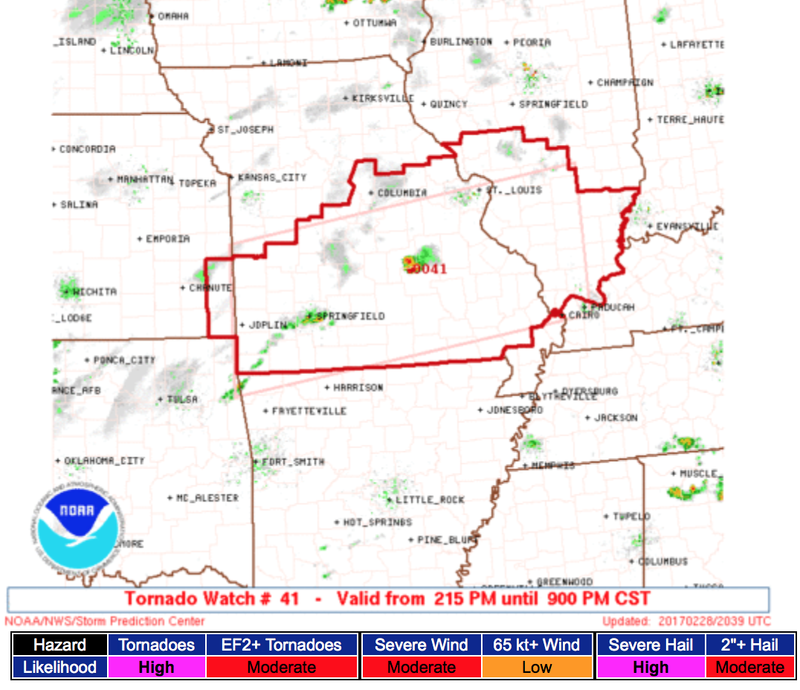 The first tornado watch of the day has been issued. 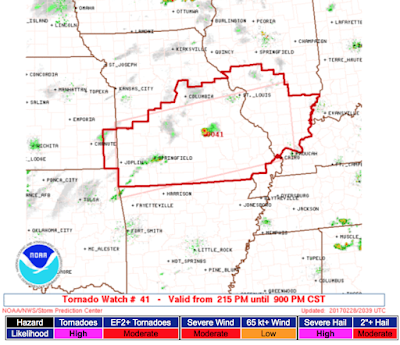 Please note the likelihood of tornadoes is "high" and the probability of strong tornadoes is "moderate." There is also a high risk of large hail. I recommending communicating with your friends and relatives in the region to insure they are aware of the risk. This includes people in the St. Louis-Branson-Springfield, MO areas.